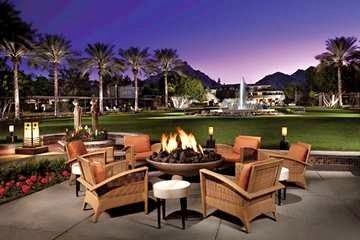 Visit one of the first resorts in Phoenix, the Arizona Biltmore Resort and Spa, and enjoy Exclusive Complimentary Perks when booking your stay across WhataHotel!. Built back in 1929 by brothers Albert, Charles and Warren McArthur with Frank Lloyd Wright as a consulting architect, this stunning resort stands as one of the only existing hotels in the world to benefit from Wright's iconic influence. Travel to this acclaimed U.S. landmark that has welcomed presidents, celebrities and world travelers and revel in its rich and colorful history. 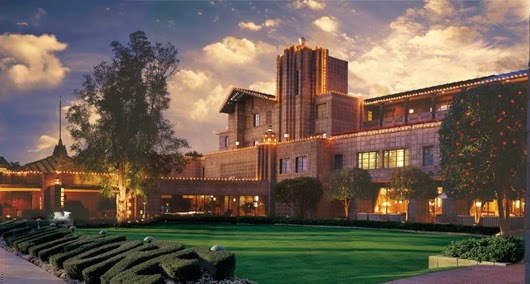 Called Arizona's Grand Dame, Arizona Biltmore Resort and Spa radiates a mystique of beauty and splendor. Guests can relax in one of the 738 guestrooms that reflect a timeless heritage and offer up fine linens, gorgeous furnishings and modern conveniences. Each space is large and decorated with mission-style furnishings and desert colored fabrics for a comfortable stay. The award-winning Arizona Biltmore Spa has dedicated itself to the art of wellness; visit this calming establishment and rejuvenate your spirit. The impressive views of Squaw Peak, the lush greenways and the flowing ponds surround both championship golf courses for an exciting round or two of golf, while the Arizona Biltmore Country Club ensures all golf needs are perfectly met. Other fabulous activities include tennis, pools with cabanas, waterslides and a swim-up bar, a well-equipped fitness center and so much more. 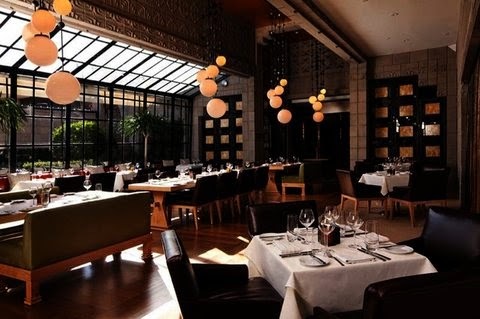 Dining at Arizona Biltmore Resort and Spa is exceptional, presenting guests with both quick delightful meals as well as scrumptious award-winning options at very captivating restaurants. Whether you stay on the resort grounds or head off-property for a bit of shopping and exploring, the knowledgeable staff at Arizona Biltmore Resort and Spa will assist guests with every need to guarantee that their travel plans are complete perfection. When booking your travel to Arizona Biltmore Resort and Spa across WhataHotel!, guests can enjoy Exclusive Complimentary Perks for one of the best deals around. These phenomenal perks include available upgrades at check-in, a continental breakfast for two daily, a $100 food and beverage credit voucher at Frank's and Albert's and options for an early check-in and a late 4:00 PM check-out. 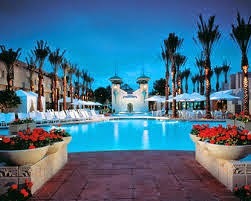 Blue skies, panoramic views and a glamorous setting await you at the opulent Arizona Biltmore Resort and Spa. With a remarkable history that includes the rich and famous, there is little doubt that your time at this luxurious resort will be truly unforgettable!